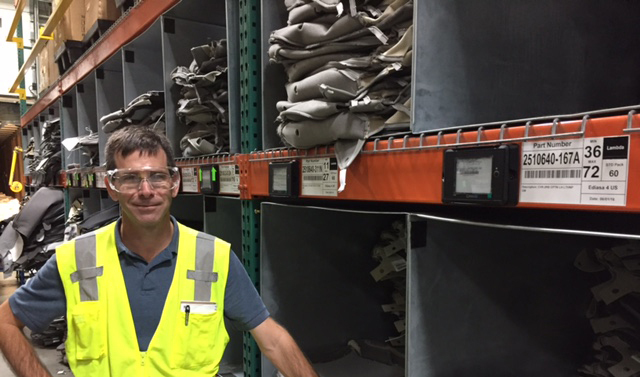 Getting the right parts to the right place at the right time in any factory starts with ensuring an accurate picking or kitting of those parts from the warehouse or other “shopping” location. 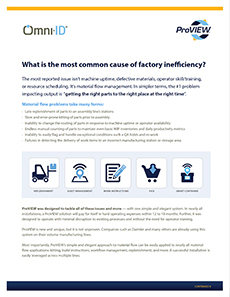 Paper-based or other manual (barcode) processes are highly error-prone and inefficient when it comes to ensuring the correct parts are located and selected by operators. 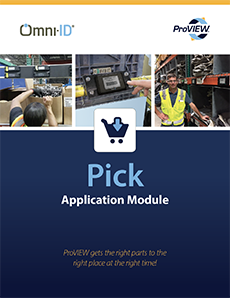 ProVIEW’s Pick module ensures an accurate and efficient process by providing visual cues AND instruction for operators at the pick location. 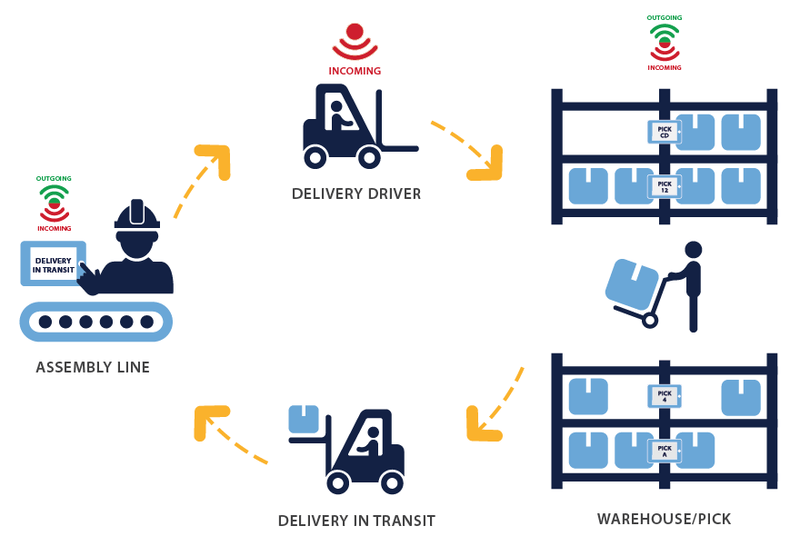 A wireless View Tag is placed at the pick location (bin, rack, shelf) – the color of the screen tells the operator where to pick and the instruction on the tag verifies pick, quantity and put location — making the process completely foolproof for the operator. Standard Work: this simple & intuitive system includes visual indicators and instruction right on the View Tag, and requires little to no training — providing for ease of system and/or new operator deployment. Re-Configurability: The ProVIEW system requires no wired infrastructure, unlike complex pick-to-light options the Pick application module provides simple installation and re-configurability where you need it – when you need it. 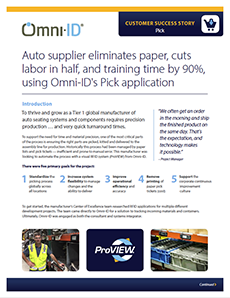 The Visual Factory: ProVIEW’s Pick application module improves the communication of information and the accuracy of the process. 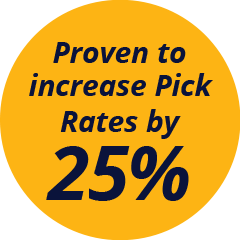 Monitor KPIs: Dashboards provide pick rates, delivery metrics and alerts to optimize process performance in real-time. at the right time with ProVIEW!